In the blazing desert heat GITEX 2015 was a cool drink of water for the 130,000 visitors from 150 countries who descended on the oasis city of Dubai to see the latest in information and communications technology. More than 3,600 exhibitors from 65 countries around the world gathered to display and discuss the world’s most cutting edge technologies. The overarching theme this year was ‘The Internet Future of Everything’ with an emphasis on technologies that drive innovation, big data analytics, connectivity, mobility and security. A lot of the emphasis on the floor this year was on the Internet of Everything (IoE) and how smart, connected technologies can help individuals, businesses and even cities streamline processes to become significantly more efficient. 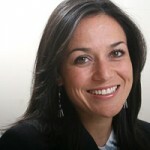 The city of Dubai, for instance, showcased its Smart Government initiatives, which should see IoE technologies fully implemented by 2020, making it possible for residents to access healthcare, education and government services—among others—easily and conveniently through mobile apps and helping the city establish itself as a ‘smart city’. Machine-to-Machine (M2M) and Internet of Things (IoT) technologies were also hot topics as more businesses across a wide range of verticals look to leverage the power of actionable machine data to gain more visibility of their operations and improve business planning decisions. In the Middle East, the Internet of Things is more prevalent than ever as the region is expected to become a global driver of IoT technologies with exponential market growth over the next four years. M2M and IoT technologies are of particular interest to the Oil and Gas sector, as more energy companies look for ways to automate processes and streamline their operations in order to improve their bottom line. ORBCOMM was well positioned to address the requirement at GITEX this year with a complete suite of telemetry solutions that provide complete monitoring and control of remote SCADA systems, pipelines, field equipment, personnel and more. The benefits of M2M and IoT are also prevalent in the construction sector. 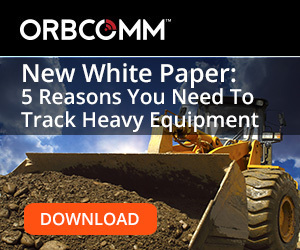 Smart devices are now being used to track heavy machinery and any other high-value equipment used in construction. In addition to knowing the exact location of an asset at any time, smart devices enable fleet administrators to access asset health reports to ensure optimal equipment operation and enable preventative maintenance. This is a significant benefit to customers considering that equipment repairs represent the third largest operating cost for the construction industry. 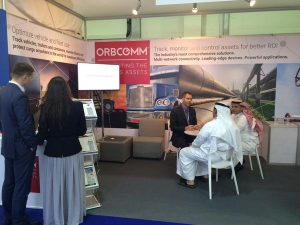 ORBCOMM’s FleetEdge was introduced at GITEX this year as a comprehensive telematics solution for this sector. With powerful devices that support connectivity over satellite and/or cellular networks as well as a robust web management application, FleetEdge delivers location data, operational status and predictive and diagnostic tools—among others—giving operators full visibility and control of their fleets even in some of the world’s most remote areas. Did you visit GITEX this year? If so, let us know if you spotted other emerging trends in the industry.